Leading independent studio E1 Entertainment has finalized a production and development deal with legendary rock band KISS. 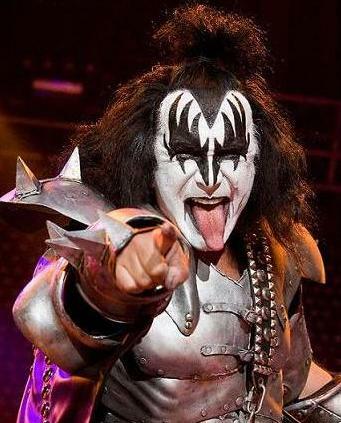 E1 will tap the worldwide enthusiasm for the KISS brand, collaborating with founding members Gene Simmons and Paul Stanley to create a comedic half-hour kids television series that galvanizes the band’s iconic personas for its young fans. E1 has snagged the KISS brand as it eclipses its roots, building energy in new family and youth media outlets. KISS’s role as the face of Dr. Pepper, their significant presence during Super Bowl XLIV, and their appearance on the 2009 ”American Idol” finale, which reached over thirty million viewers, has made the make-up and leather-clad giants a household name for kids and families today. The KISS tradition continues to grow generation after generation transcending age, race and creed. ”We couldn’t be more excited. Coupling E1’s successes and ingenuity with the global force of KISS guarantees an express pass into the homes of our youngest KISS Army members with a show of superior quality,” adds KISS co-founder Paul Stanley. The as-yet-untitled series will be produced and distributed worldwide by E1. Executive Producers are John Morayniss and Frank Saperstein for E1 Entertainment; Gene Simmons and Paul Stanley of KISS. E1 and KISS will handle all licensing and merchandise for the series.